INDIANAPOLIS (Thursday, May 17, 2018) – Famous names set the pace in the third day of practice for the 102nd Indianapolis 500 presented by PennGrade Motor Oil, with the likes of Rahal, Kanaan and Andretti atop the speed chart. 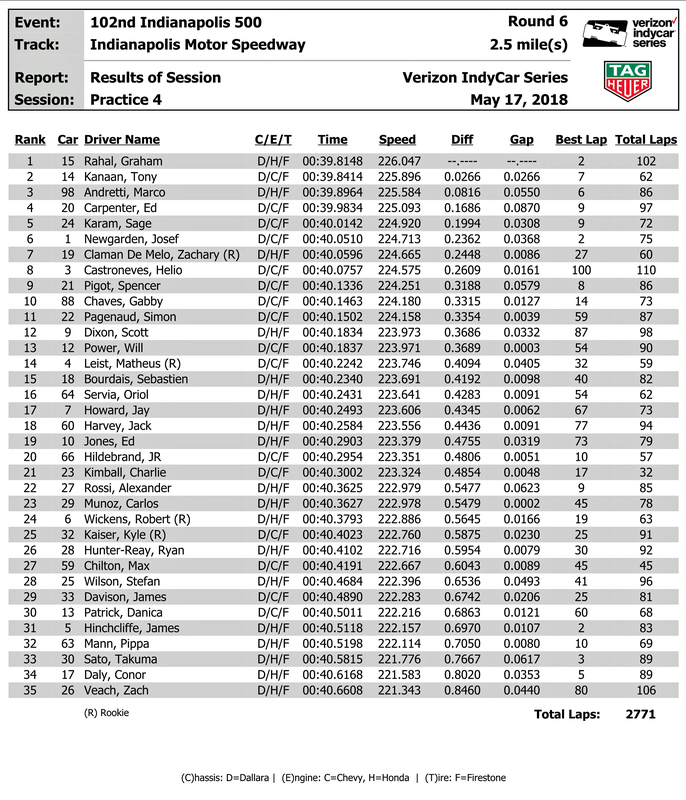 Graham Rahal, the son of 1986 Indy 500 winner Bobby Rahal, was fastest of the 35 Verizon IndyCar Series drivers on track Thursday, putting down an early lap at 226.047 mph in the No. 15 United Rentals Honda that held up throughout the seven-hour session. Tony Kanaan, the 2013 Indy 500 winner, was 2nd fastest at 225.896 mph in the No. 14 ABC Supply AJ Foyt Racing Chevrolet was followed by Marco Andretti, the 3rd-generation racer and grandson of 1969 Indy 500 champion Mario Andretti, who ranked 3rd at 225.584 mph in the No. 98 U.S. Concrete/Curb Honda. Andretti’s fast lap of 227.053 mph on Wednesday remains the best of the week thus far. Rahal explained that he was attempting a qualifying simulation when he set the fast lap, with the assist of a car coming out of the pits ahead of him. “Stefan Wilson came out in front of me,” said Rahal, who drives for the Rahal Letterman Lanigan Racing team co-owned by his father, Bobby. “He was at the end of the back straight as I was going out of (Turn) 2. I thought, for once I’m just going to stay in it (on the accelerator). Not normally my M.O., but I thought I might as well put a good one up there, at least lower my dad’s blood pressure for the night. Drivers again spent much of Thursday running in groups getting accustomed to how their cars react in traffic under race conditions. Some made qualifying simulation runs when the track was quieter, in preparation for this weekend when the 33-car field will be set for the iconic 200-lap race on the 2.5-mile Indianapolis Motor Speedway oval. Will Power, fresh off a win May 12 in the INDYCAR Grand Prix on the IMS road course, topped the list of driver laps without the benefit of a tow from cars ahead. Driving the No. 12 Verizon Team Penske Chevrolet, Power’s 223.971-mph lap headed up the no-tow chart. Sebastien Bourdais, in the No. 18 Team SealMaster Honda, was second on the no-tow list at 223.348 mph. Speeds are expected to increase on “Fast Friday,” the final day of practice before qualifications. INDYCAR permits an increase in engine turbocharger boost of 100 millibars, equating to about 50 added horsepower. With the same boost level a year ago, Chip Ganassi Racing’s Scott Dixon won the Verizon P1 Award for the pole position with a four-lap average speed of 232.793 mph. Kanaan, who sat on the Indy 500 pole in 2005, said the focus now shifts completely to dialing in a qualifying setup in Friday’s practice that will hopefully carry over to the nail-biting four-lap attempts on Saturday and Sunday. The first on-track incident in three days of practice occurred less than a half hour before the end of Thursday’s session. JR Hildebrand drifted high exiting Turn 3 in the No. 66 Salesforce/DRR Chevrolet and skimmed the SAFER Barrier, then slid along the wall before the car came to rest on the track in Turn 4. Hildebrand was uninjured and the car sustained minor right-side damage. “We were looking forward to making a long run at the end of the day in traffic,” Hildebrand said. “We weren’t that deep into the run and we had something happen in Turn 3 with the car. We are still analyzing what might have happened. Friday’s practice runs from 11am-6pm ET and streams live on RaceControl.IndyCar.com, youtube.com/indycar and the INDYCAR Mobile app. Saturday’s first day of qualifying, when the 33-car field is set, streams live on WatchESPN from 11am-3pm before ABC broadcasts the final 2 hours live from 4-6pm. The field’s starting order is determined in Sunday qualifying, which streams on WatchESPN from 2:30-4pm. before ABC picks up the climactic end from 4-6pm The 102nd running of the Indianapolis 500 airs live at 11am Sunday, May 27 on ABC and the Advance Auto Parts INDYCAR Radio Network. Pietro Fittipaldi, whose chance to drive in the Indianapolis 500 for the first time this year ended when he was injured May 4 in a World Endurance Championship sports car crash, met with media at Indianapolis Motor Speedway for the first time since the incident. The grandson of two-time Indy 500 winner Emerson Fittipaldi is targeting the Honda Indy 200 at Mid-Ohio Sports Car Course on the last weekend of July for his return to the No. 19 Paysafe Honda for Dale Coyne Racing. Fittipaldi, who sustained a broken left leg and right ankle, has already begun physical rehabilitation and therapy in Indianapolis. He has been counseled by his grandfather, cousin Christian Fittipaldi and uncle Max Papis on the path to recovery, as well as teammate Sebastien Bourdais, who sustained fractures in his pelvis and hip when he crashed during an Indianapolis 500 qualifying attempt a year ago. Katie Hargitt woke up one morning earlier this year and realized there was no time like the present. Hargitt has been in motorsports for 18 years, first as a short-track open-wheel driver and now as an NBCSN reporter on Verizon IndyCar Series telecasts, She often wondered how she could help to find a path for more young women to work in the world of racing, especially in the engineering, mechanical and business side of the sport. “Fuel the Female” was born. The new group aims to empower young women to pursue careers in motorsports and other science, technology, engineering and math (STEM)-related industries. Fuel the Female’s inaugural event took place Tuesday at Indianapolis Motor Speedway, with 60 Indianapolis Public Schools female students visiting the track for the day and learning more about the exciting world of motorsports. A variety of women with prominent careers in motorsports spoke to the girls in the North Chalet and the Firestone Suite at the track, sharing their experiences and encouragement about a career in racing, including Indianapolis 500 driver Danica Patrick; Kate Gundlach, assistant engineer for Chip Ganassi Racing; Cara Adams, chief engineer for Firestone Racing; Jessica Mace, mechanic at Andretti Autosport; and Lisa Boggs, Bridgestone Americas director of motorsports. As the organization grows, Hargitt hopes Fuel the Female will serve as a door for an exciting new world for young women. Hinchcliffe and the American Red Cross are teaming for a special blood drive at Indianapolis Motor Speedway on Monday, May 21, with the goal to collect 105 donations. The first 100 people to donate will receive a free access pass to Hinchcliffe’s garage in Gasoline Alley during the practice day on the 2.5-mile oval. The “Hinchcliffe Hundred” blood drive is supported by INDYCAR, IMS and the IU Health Foundation. It will take place from noon-6 p.m. ET in Legends Row adjacent to Gasoline Alley. Donors must be at least 18 years of age and have a gate admission ticket for entry into the track, with free parking available in Turn 3 while it lasts. A free gate ticket will be emailed to each donor who registers in advance to donate. To register, visit https://rdcrss.org/2IbkEMw or call (800) RED-CROSS and use the sponsor code HinchcliffeHundred. 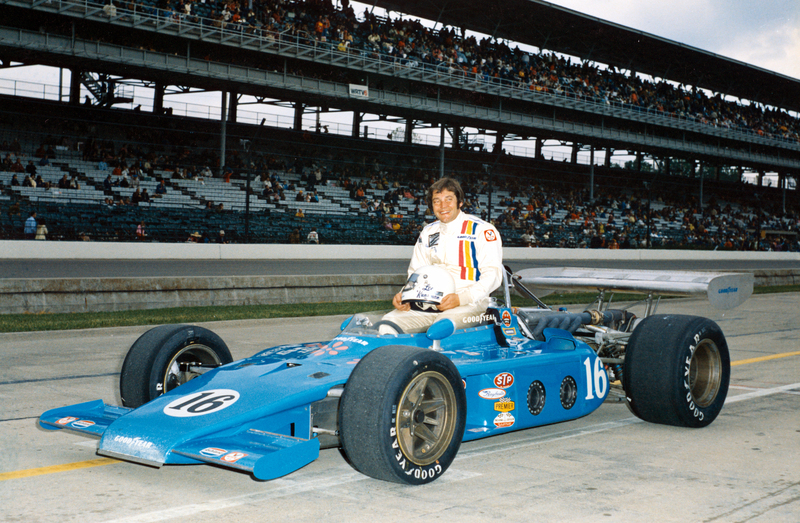 Ribbs had a devil of a time qualifying for his first Indianapolis 500 because the ever-temperamental Buick engine would fail after only a handful of laps. In the last hour of qualifying, Ribbs shoved aside the frustration, shelved any jinxes and put it in the show, bumping Ton Sneva in the process. The mechanical gremlins returned on race day, however, and Ribbs lasted only five laps and finished 32nd. 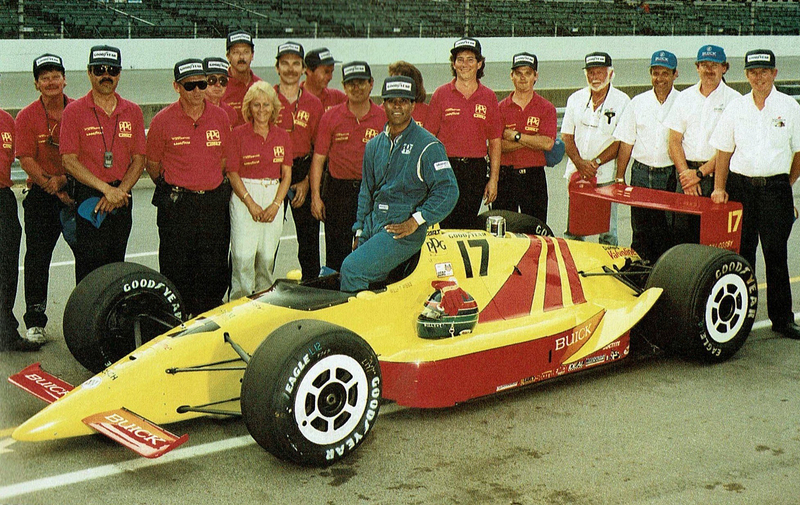 Photo from my 1991 Carl Hungness Indianapolis 500 Yearbook. Kunzman was considered a rising star in the USAC ranks before his career was derailed by some serious crashes. In 1973, he joined the Lindsey Hopkins team and moved up from 25th to finish seventh in the rain-shortened race. 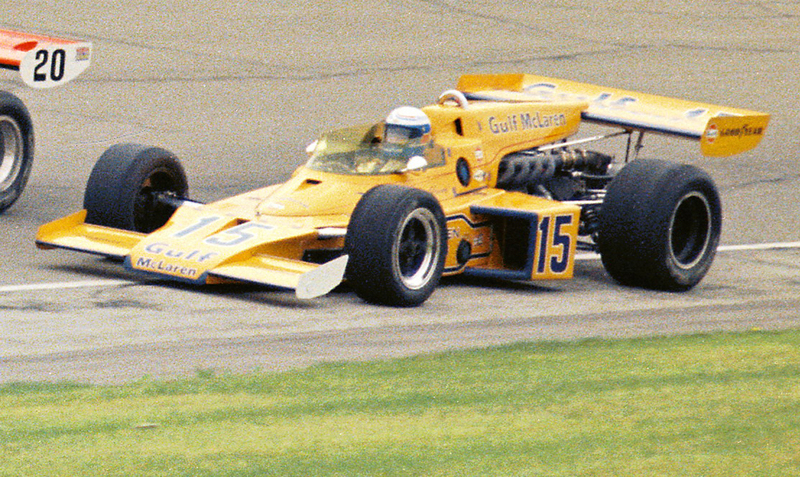 After his driving career, Kunzman was part of Ron Hemelgarn’s operation for many years. A front-row starter the previous two 500s, Revson was the first qualifier for the 1973 race and wound up starting 10th and finished 31st after crashing coming out of Turn 4 after only three laps. That year, I remember my mom taking me a drug store in the Speedway Shopping Center to meet Revson, who was promoting Rev-Up vitamins, and get an autographed picture, which I still have. 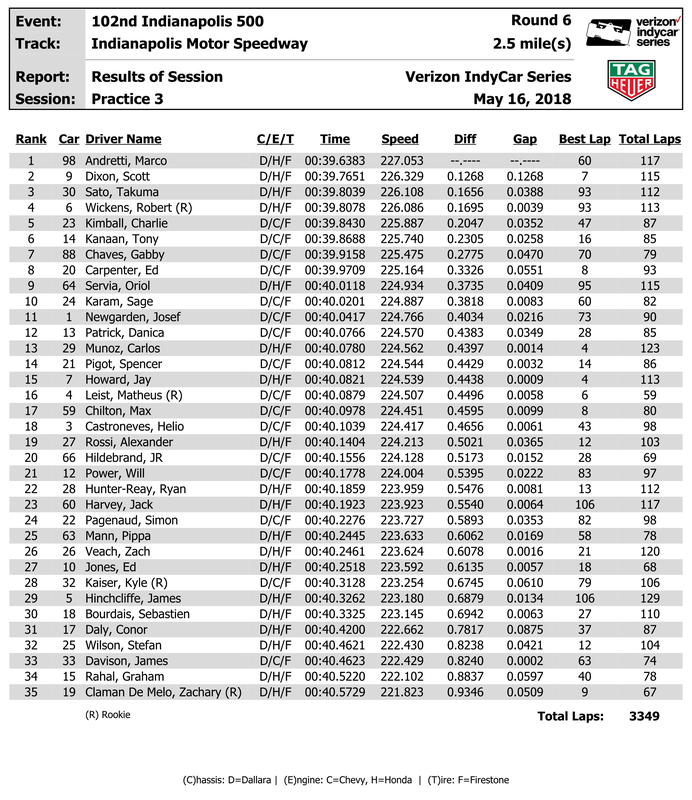 INDIANAPOLIS (Wednesday, May 16, 2018) – The speed chart provided the proof when Marco Andretti said he had a good race car on the second day of Indianapolis 500 presented by PennGrade Motor Oil practice.